As cancer hallmarks have evolved over time, so has our portfolio of tools to support cancer research. The continuously progressing picture of cancer biology has called upon our diverse scientific and technical expertise to create innovative assays and reagents in the fields of epigenetics, autophagy, and Wnt research. Enzo’s novel tools and broad portfolio of products have been established for decades in peer-reviewed literature. Key markers of cancer can provide useful information for developing new cancer treatments, and we are continually focused on providing researchers the tools to discover the next cancer breakthrough. Different subtypes of autophagy have been distinguished by the cargo that is being degraded. The most extensively studied form of autophagy, macroautophagy, degrades large portions of the cytoplasm and cellular organelles. Non-selective autophagy occurs continuously, and is efficiently induced in response to stress, e.g. starvation. Additionally, the selective autophagy of specific classes of substrates - protein aggregates, cytoplasmic organelles or invading viruses and bacteria, involves specific adaptors that recognize the cargo and targets it on the autophagosomal membrane. Other forms of autophagy include microautophagy, which involves the direct engulfment of cytoplasmic material via inward folding of the lysosomal membrane, and chaperone-mediated autophagy (CMA). In CMA, proteins with specific recognition signals are directly translocated into the lysosome via binding to a chaperone complex. Despite having over 100 different classifications for cancer, a fundamental similarity is the concept of a continuous unregulated proliferation. Of the vast catalog of human cancer genotypes documented over the years, it has been proposed that almost all share 6 essential alterations that dictate success of malignant growth. These are independence of growth factors for sustained growth, insensitivity to growth-inhibition signaling, circumventing programmed-cell death pathways, potentially limitless replicative potential, sustained angiogenesis, and metastasis. Unlike traditional theories of carcinogenesis, various research groups suggest that cancer stem cells serve as a driving force behind tumorigenesis and metastases. Consequently, these cells usually end up displaying more rounded appearances compared to healthy cells. Techniques such as cell transformation assays, which enables the conversion of normal cells to neoplastic cells, can provide information on various potential carcinogenic effects towards cell lines. Conversely, many different cancer genotypes also display significant resistance to chemotherapeutic analogs. Our SCREEN-WELL® Cancer Library is a collection of 275 compounds that can be used for cancer inhibitor screening and assay development. This library is an essential tool for cancer inhibitor screening and drug development. Tumor development is the progression of cancer from small, localized neoplasm to larger, growing, and potentially metastatic tumors, which makes it life threatening. New growth in the vascular network is important since the proliferation, as well as metastatic spread, of cancer cells depends on an adequate supply of oxygen and nutrients and the removal of waste products. The process by which new blood and lymphatic vessels form is called angiogenesis. Angiogenesis is regulated by an extensive variety of angiogenic stimulators and inhibitors. The vascular endothelial growth factor (VEGF) and its receptor (VEGFR) have been shown to play major roles not only in physiological but also in most pathological angiogenesis, such as cancer. VEGF promotes an array of responses in the endothelium, including hyperpermeability, endothelial cell growth, angiogenesis, and enhanced glucose transport. Several alternate splice isoforms of VEGF are known. Two high-affinity receptors for VEGF, VEGFR1 and VEGFR2, have been identified and characterized. Enzo offers a range of antibodies and an ultra-sensitive VEGF ELISA kit for the quantitative detection of human VEGF with 100% cross reactivity with VEGF 165 and negligible cross-reactivity with VEGF 121 in an assay time of just 2.5 hours. Normally, the turnover of endothelial cells is very low, due to a balance of stimulators and inhibitors. However, under certain conditions (e.g. low pO2, low pH, hypoglycemia, mechanical stress, injury, immune/inflammatory stimuli, tumors) there is a dramatic increase in endothelial proliferation – a phenomenon termed activation of “the angiogenic switch.” Hypoxia is one of the major drivers of angiogenesis. When tissues or tumors are deprived of oxygen due to an inadequate blood supply, a transcriptional response to hypoxia ensues. The major transcription factor pathway involved in this response is hypoxia-inducible factor 1 (HIF). Immunohistochemical analysis of human cancer biopsies revealed increased levels of HIF-1α and/or HIF-2α protein relative to surrounding normal tissue in the majority of primary human cancers and their metastases. HIF-1α and HIF-2α protein levels can also be increased in cancer cells due to loss of function (LOF) of many different tumor suppressors, which results in either increased HIF-1α synthesis or decreased HIF-1α degradation. A hypoxic environment devoid of nutrients prevents the cell from undergoing energy-dependent apoptosis and cells become necrotic. Our ROS-ID® Hypoxia/Oxidative Stress Detection Kit can detect hypoxia and oxidative stress levels. Cells encountering environmental stress can undergo apoptosis. The characteristics of apoptosis are chromatin condensation, membrane blebbing, phosphatidylserine exposure on the cell surface, cytoplasmic shrinkage, the formation of apoptotic bodies, and DNA fragmentation. Enzo Life Sciences offers comprehensive tools for monitoring cellular analysis including cell viability, proliferation, death, and oxidative stress. Tumor metastasis is a complex phenomenon that has been widely studied. Key features of metastasis, specifically with respect to epithelial-derived carcinomas, include loss of epithelial polarity and breakdown of tissue architecture, breach of the basement membrane, intravasation of tumor cells into blood and/or lymphatic vessels, escape of tumor cells from vessels (extravasation), migration of tumor cells into a new tissue and expansion of the metastatic colony. While the genetic basis of metastasis remains unclear, signaling via chemokines is known to stimulate tumor cell migration, invasion into the local environment, homing of tumor cells to lymphatic vessels and metastatic sites, and infiltration of immune cells into tumors. Chemokine-mediated and growth factor-mediated chemotaxis has been observed in tumors. More recently, β1 integrin has been shown to be required for tumor cell extravasation in a 3D model of human microvasculature, specifically mimicking invasion past the endothelial basement membrane. Enzo offers a range of Cytokine ELISA kits, proteins, and antibodies for your research needs. Metabolism refers to a set of chemical reactions that are responsible for transforming carbohydrates, lipids, and proteins into energy. Cancer cells can switch from normal respiration to aerobic glycolysis, though the exact mechanisms of the metabolic switch are not yet fully understood. However, metabolic changes can enable cancer cells to increase nutrient uptake, cell growth and survival, which can affect tissue invasion and resistance to treatment. SIRT3 is synthesized as an inactive precursor protein whose mature, active form is located in the mitochondrial matrix. Although its substrates are still unidentified, SIRT3’s mitochondrial localization suggests some interesting possibilities for SIRT3 function. NAD /NADH are essential to mitochondrial electron transport and ATP production. Thus SIRT3 could, via its requirement for NAD, act as a sensor and transducer of metabolic signals. Alternatively, since mitochondrial NAD concentrations may be unresponsive to metabolic changes, but depleted by opening of the mitochondrial permeability pore, SIRT3 could be acting as a modulator of apoptotic signals that affect mitochondrial permeability. Our FLUOR DE LYS® SIRT3 Fluorometric Drug Discovery Assay Kit is ideal for chemical library screening for candidate inhibitors or activators or kinetic assay of the enzyme under varying conditions. 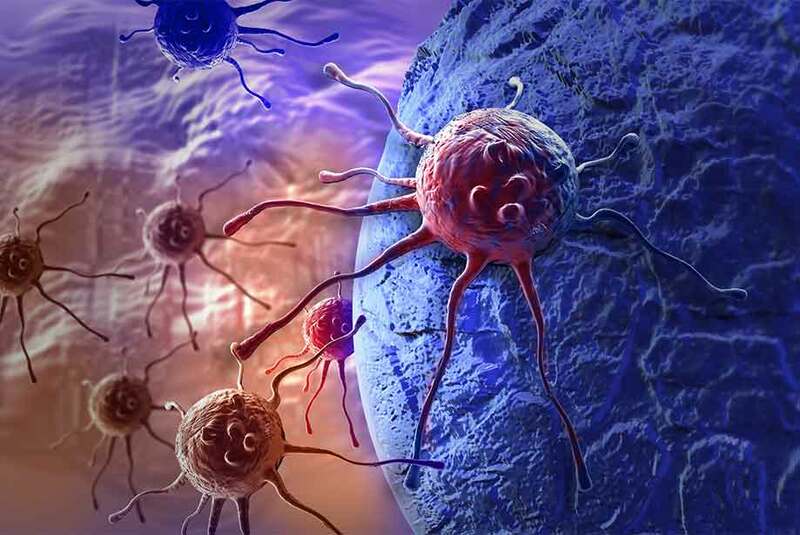 Cancer cells are often exposed to a variety of internal and external stressors. These can include various conditions such as hypoxia, anticancer therapeutics, detachment, and reactive oxygen species, just to name a few. While the effects typically involve damage to intracellular macromolecules (protein, DNA, RNA, lipids) and alterations in cellular metabolism, many cancer cells engage in alternative signaling pathways that mitigate these deleterious effects to ensure survival and proliferation. Our SCREEN-WELL® Autophagy Library contains 94 compounds with defined autophagy-inducing or -inhibiting activity. The library is a useful tool for studying the roles of pro- and anti-autophagic molecules in cells as well as for use in in vitro applications. We offer a range of tools to monitor programmed cell death and apoptosis. Of the three major established programmed cell death (PCD) pathways, apoptosis (PCD Type 1) is the most-well characterized, being recognized as a critical regulator of development and immunity, as well as organ and tissue homeostasis. The interplay between apoptotic, autophagic, and necrotic pathways promises to yield further targets for therapeutic intervention. With over 2000 products for the analysis of cell death, Enzo enables detection of phenotypic hallmarks of apoptotic cell death, and the complete analysis of cross-talk between PCD pathways. Our CYTO-ID® Autophagy Detection Kit 2.0 is a no-transfection, quantitative assay for monitoring autophagy in live cells (PCD Type 2). Additionally, our GFP-CERTIFIED® Apoptosis/Necrosis Detection Kit is a multiplex assay that distinguishes between healthy, early/late apoptotic and necrotic cells (PCD Type 3). Maintaining the proper balance between immune activation and suppression is critical for physiological functioning of the innate and adaptive immune system. The immune system is essential for preventing and destroying cells that are unhealthy and cancerous. Disruption of immune system function can lead to the development of immunological disorders. Many cancer cells may evade the immune responses of tumor suppression and eradication. Insensitivity to antigrowth signals is also closely associated with cancer development. Many regulatory proteins such as cyclins and cyclin dependent kinases control cell cycle checkpoints. TGF-beta, and other antigrowth signals, can also be targeted to aid cancer cell growth. Enzo provides a range of products including the TGF-β1 ELISA Kit and our highly active MEGACD40L® Protein that can very effectively simulate the natural membrane-assisted aggregation of CD40L in vivo. Enzo Life Sciences offers a range of products for your Cancer research needs. As Scientists Enabling Scientists, Enzo supports scientists in gaining a deeper understanding of the benefits, and potential consequences, of altering autophagic activity. Please check out our Tools for Studying Cell Death and Differences between IHC and ISH for Cancer Research or contact our Technical Support Team for further assistance.